Press the blue button, and OnStar is there. 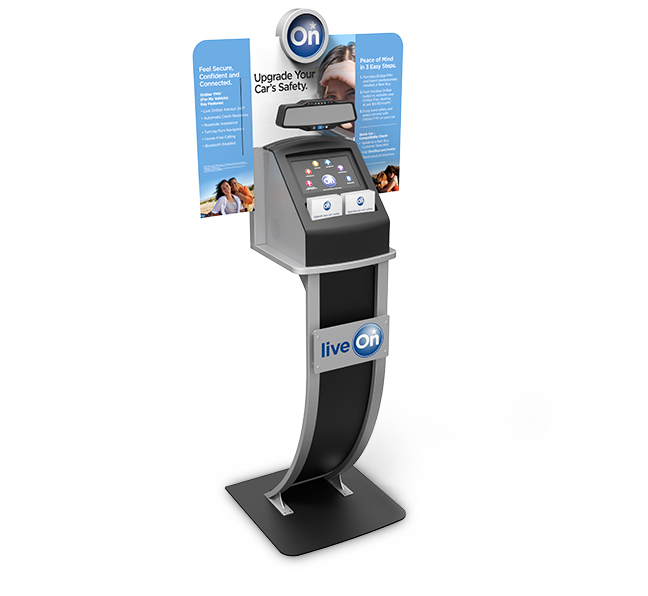 And when General Motors introduced OnStar FMV (For My Vehicle), a product that made the person-to-person communications system available for any vehicle, they turned to Motiv for innovative packaging and product merchandising. OnStar first drove onto the market in 1996, yet it wasn’t until 15 years later that GM packaged an aftermarket version in the form of a rearview mirror. Now every driver could enjoy OnStar’s person-to-person features such as turn-by-turn navigation, roadside assistance, and stolen vehicle tracking. Motiv designed the packaging structure and graphics to communicate the features and benefits of the new product line. We also created an interactive merchandising system that easily converted from freestanding to countertop, and could be updated to help support new messaging.